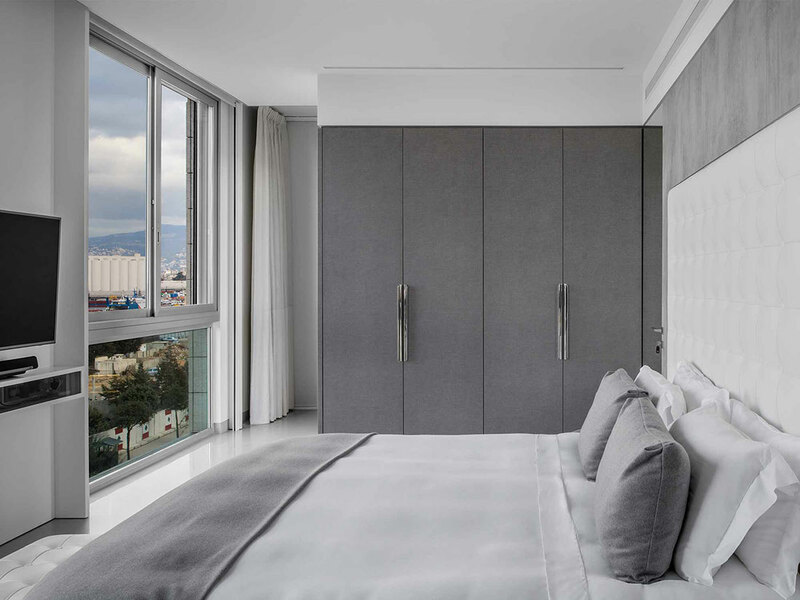 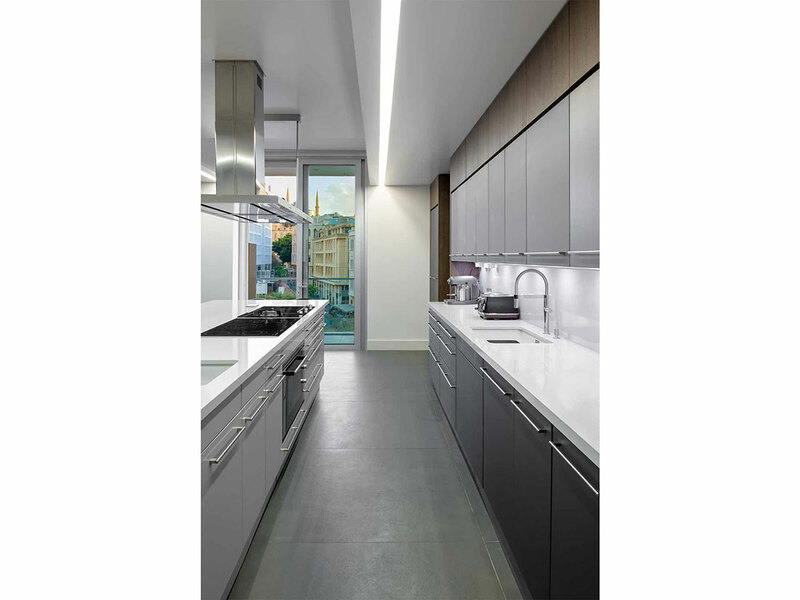 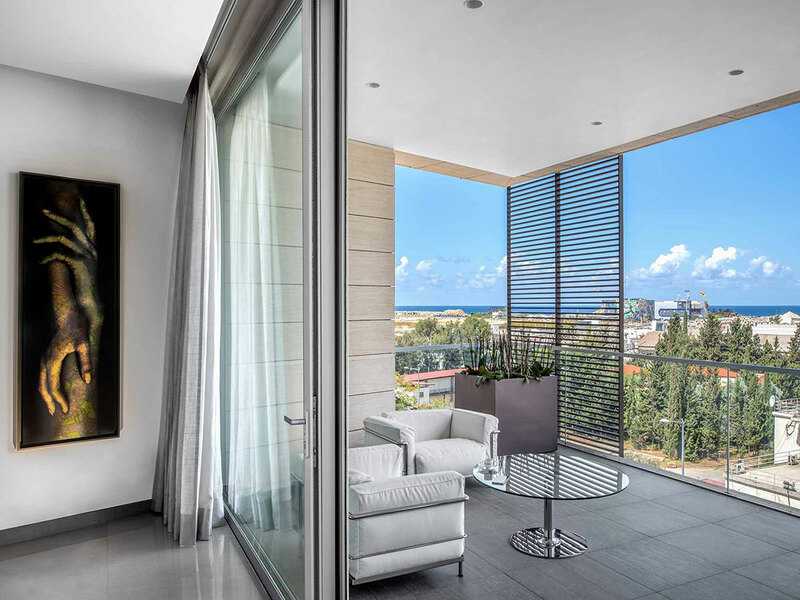 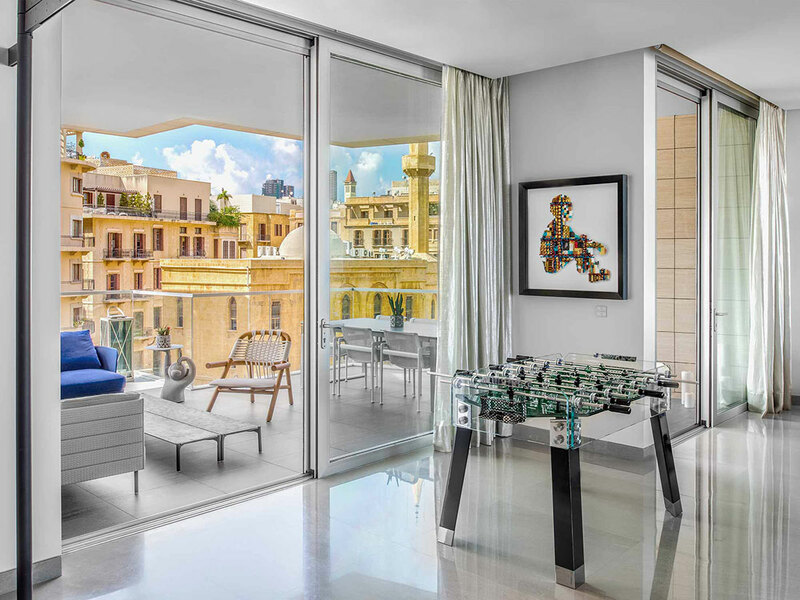 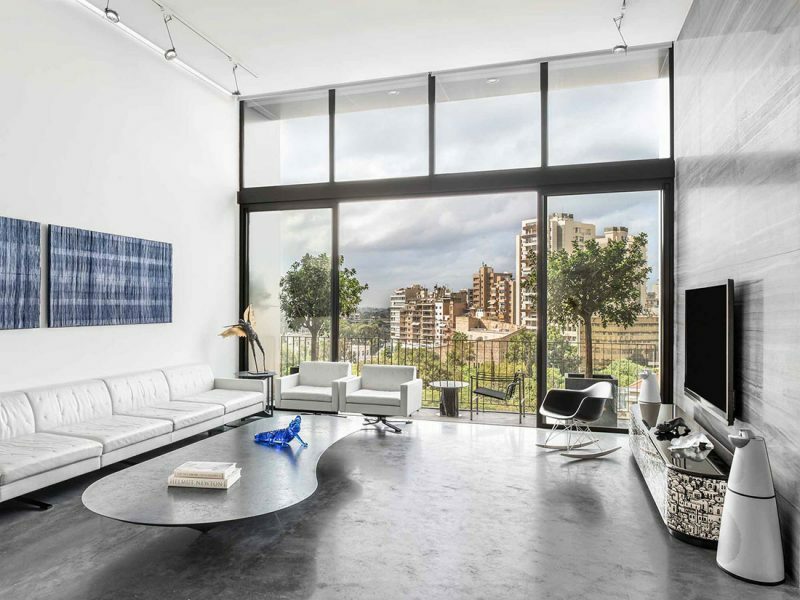 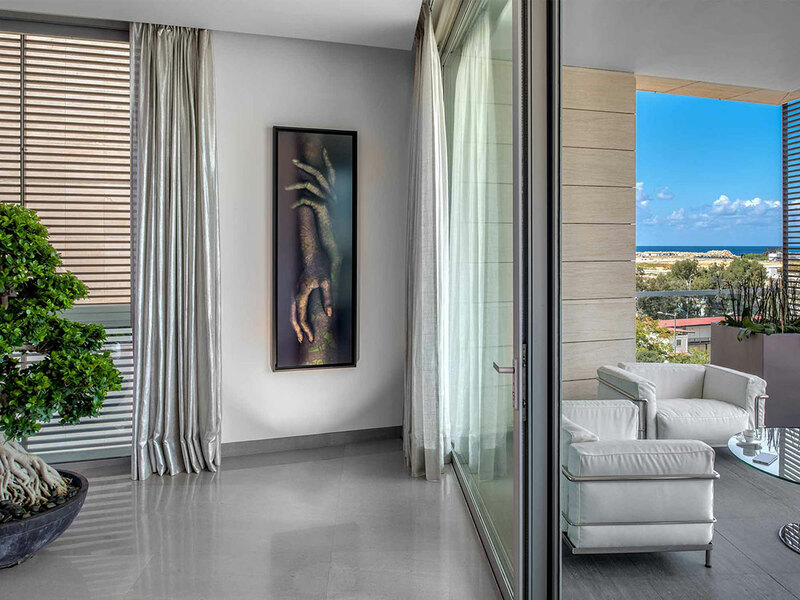 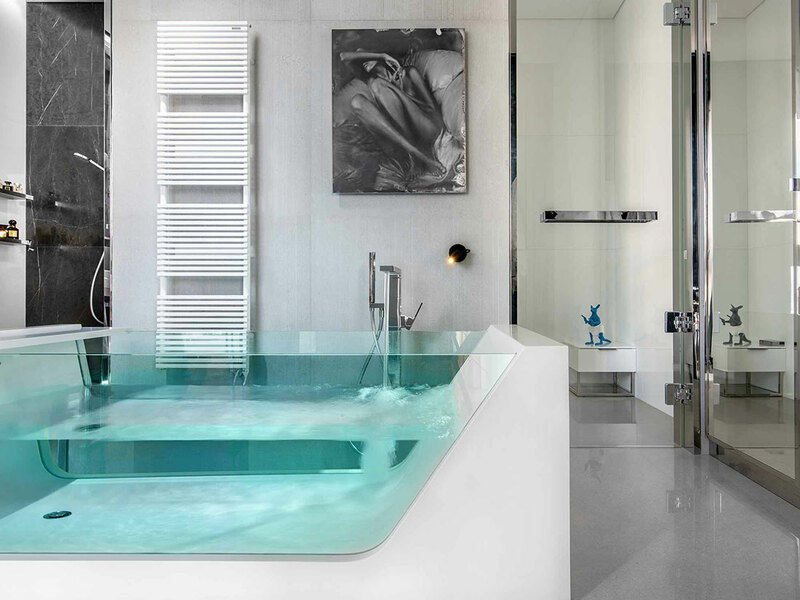 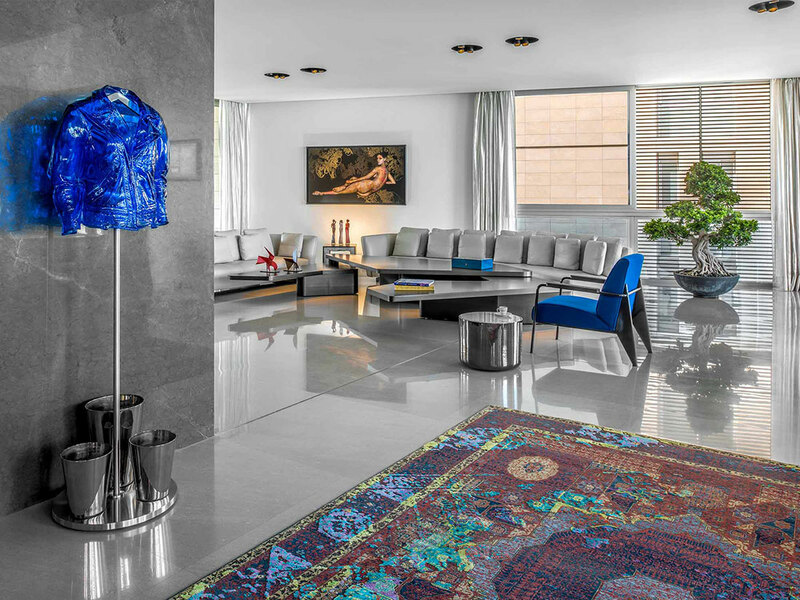 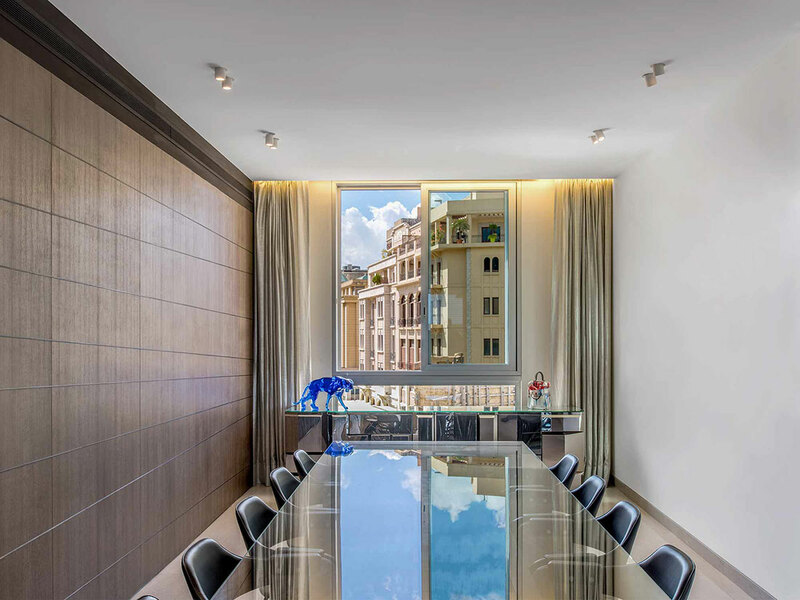 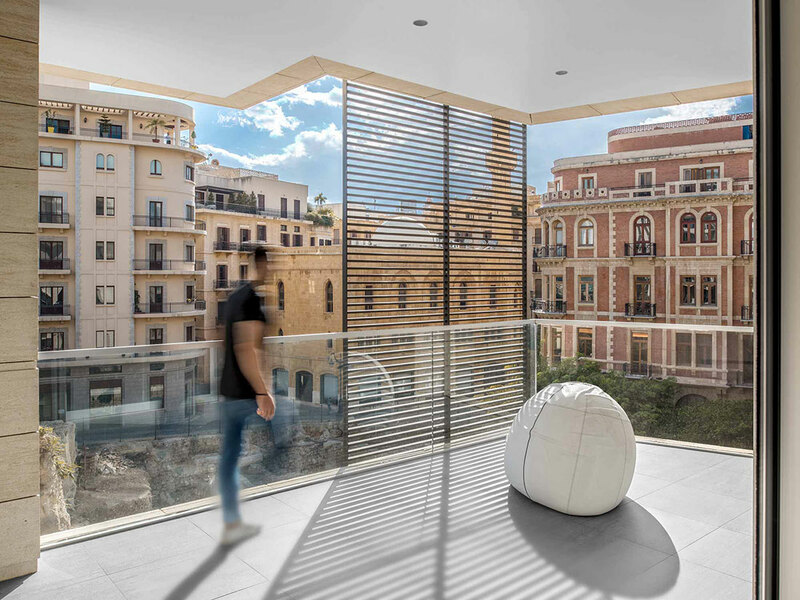 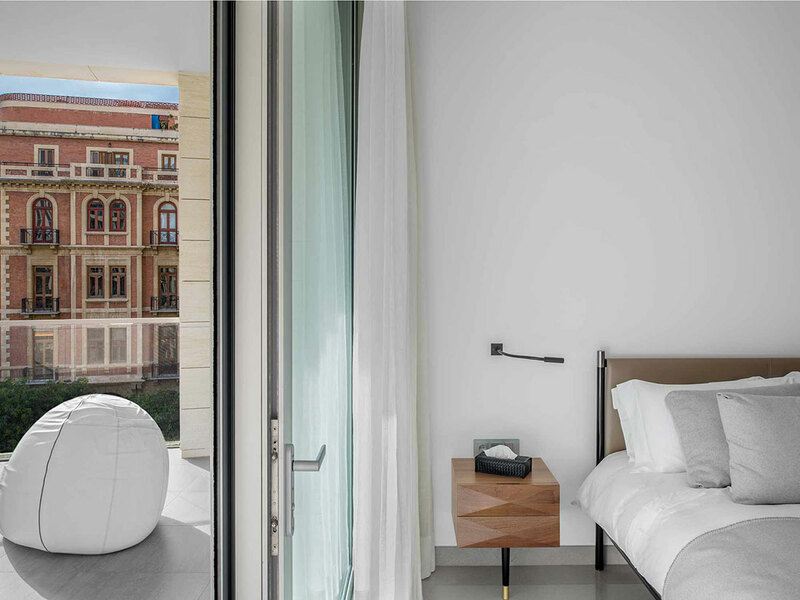 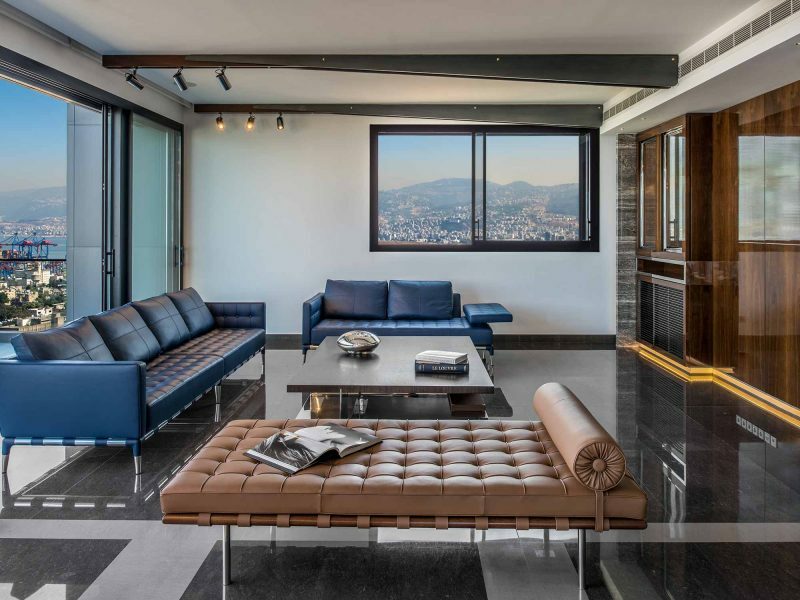 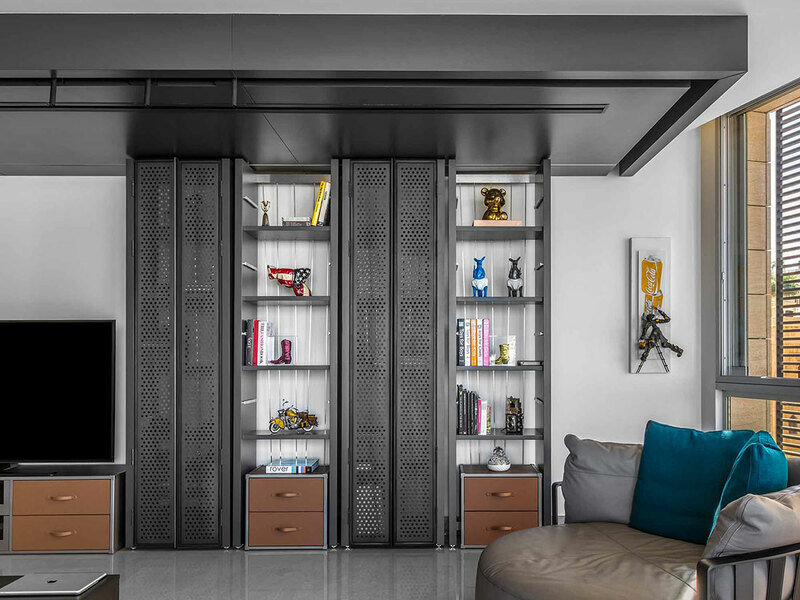 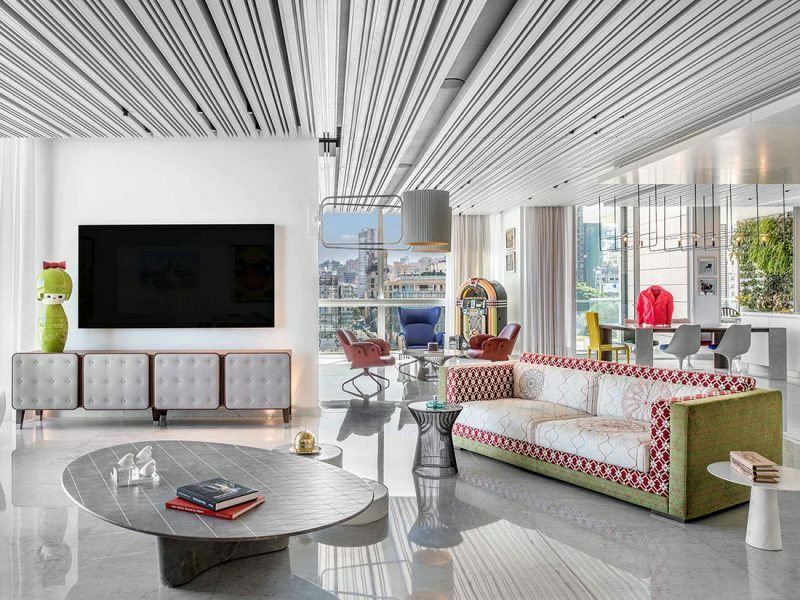 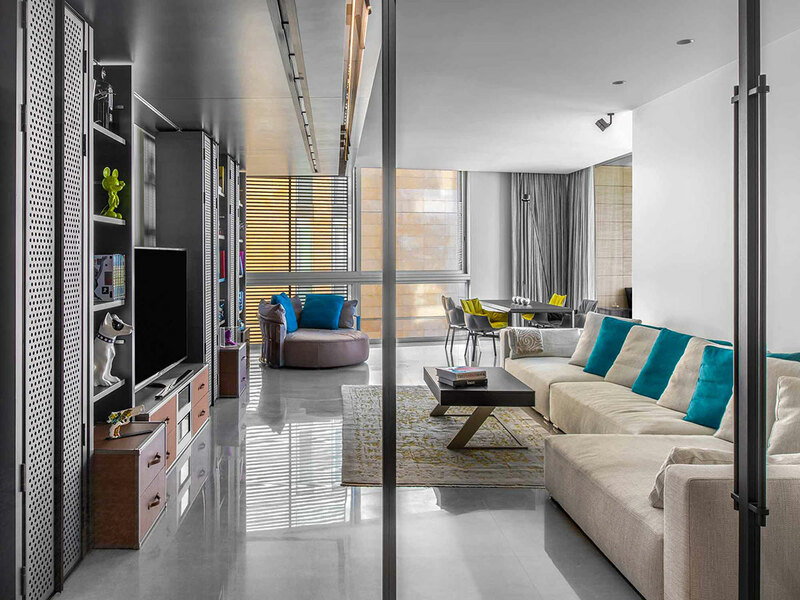 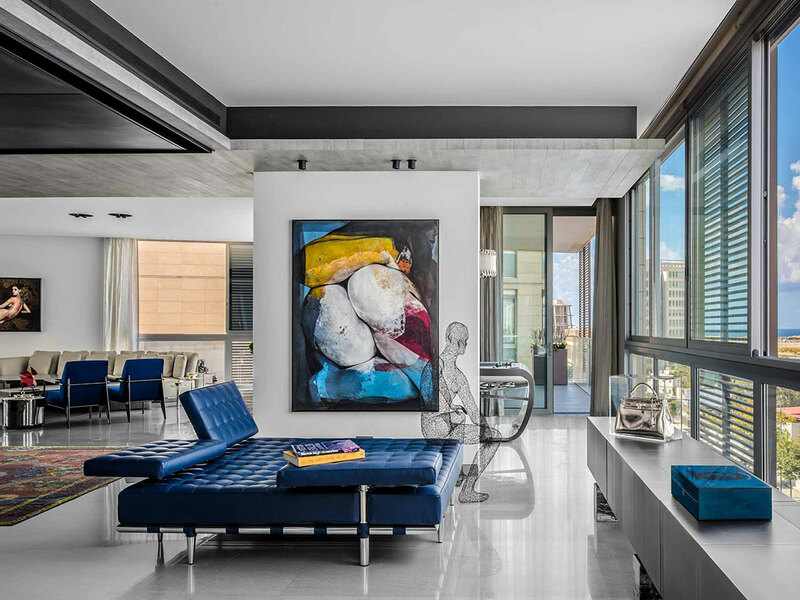 Situated in the dynamic heart of Downtown Beirut, One Oak 3&4 B2 is a modern, duplex family house that overlooks the beautiful Mediterranean Sea and the ancient Roman ruins on one side and the colourful streets of Downtown Beirut on the other. 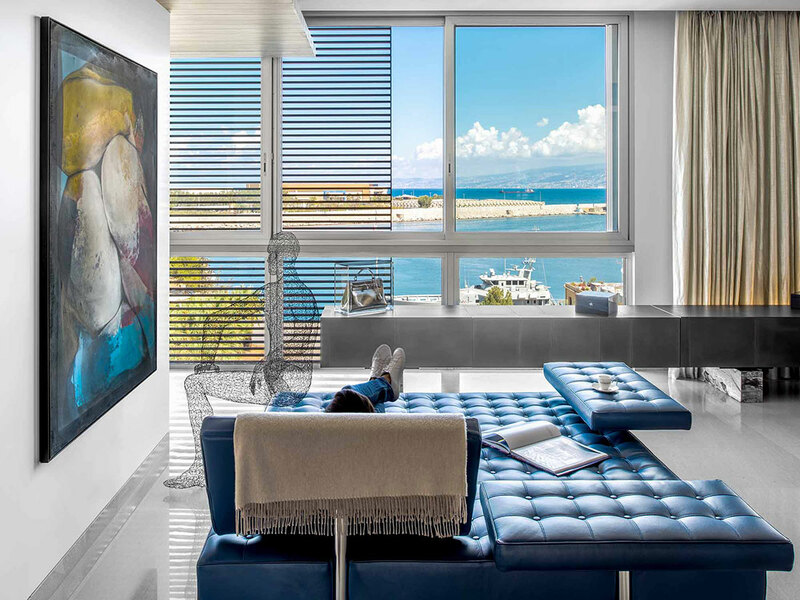 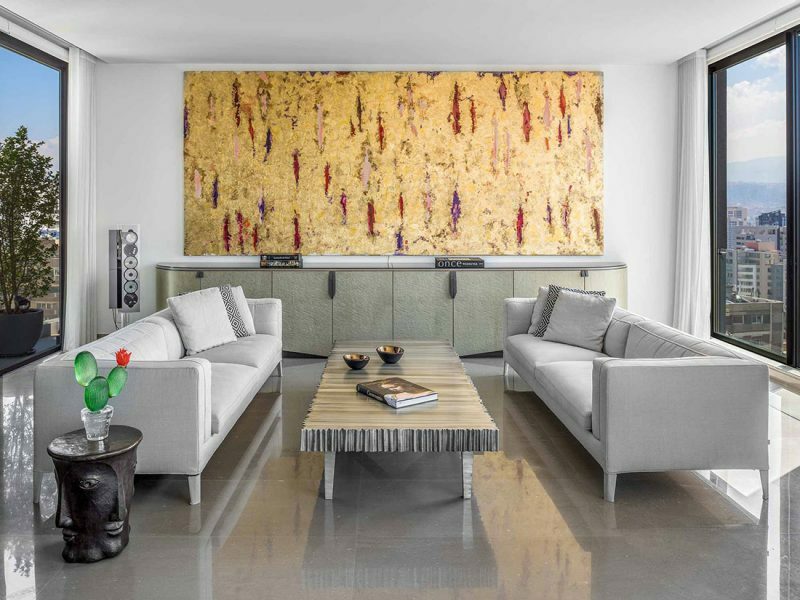 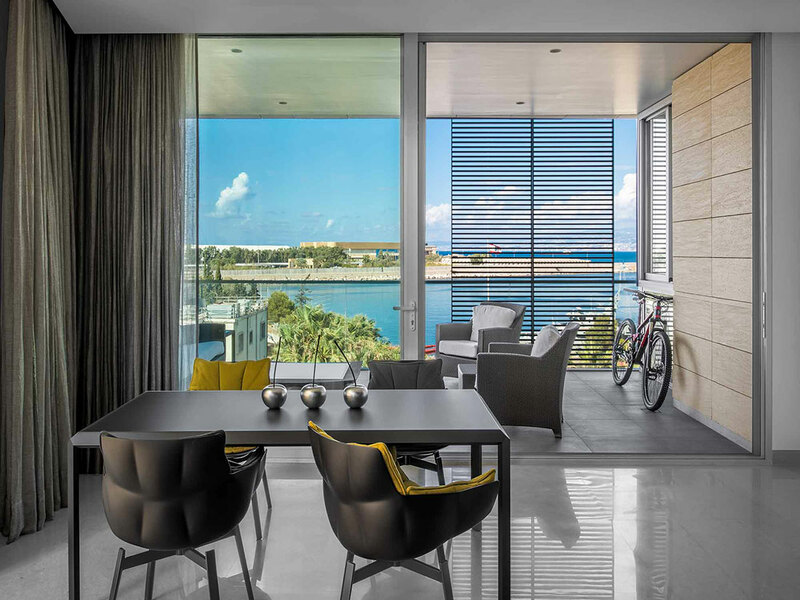 With 700m2 of interior space, the apartment infuses the muted and monotone colour palettes of hard architecture with random bursts of vibrant colours through selected art pieces, eclectic furniture and unique interior accessories. 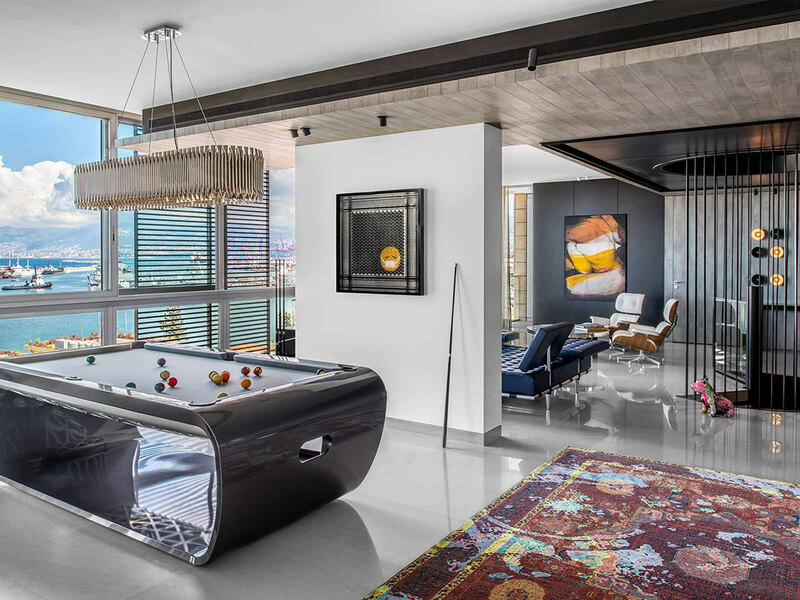 Serving as an unofficial public area ideal for letting loose and having some fun, the upper floor of the house features a reception quarter as well as a fun activity room that houses pool and foosball tables. 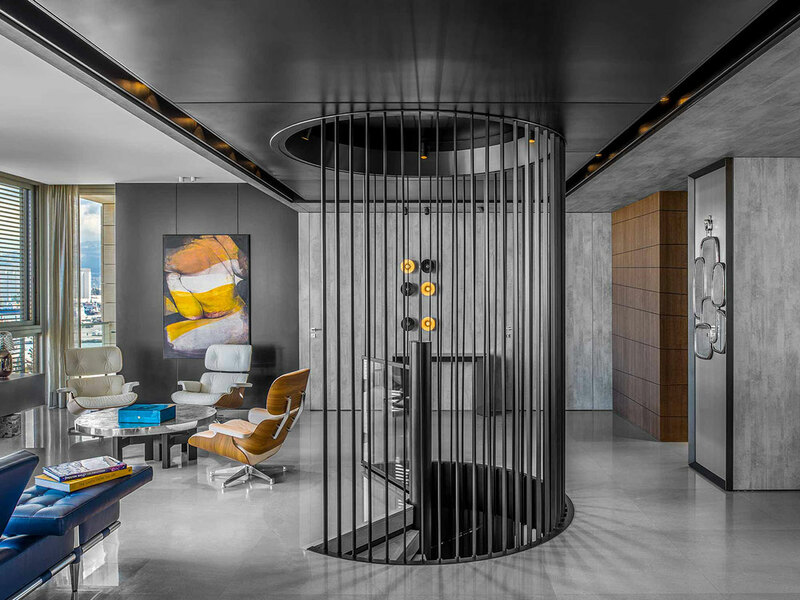 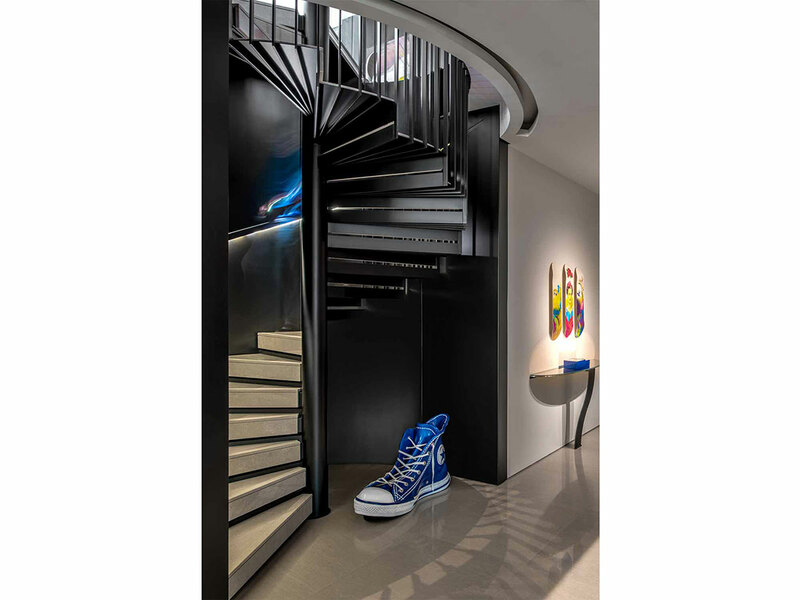 The spiral staircase leads to the lower floor, a decidedly more private space that features the bedrooms and the family living room.